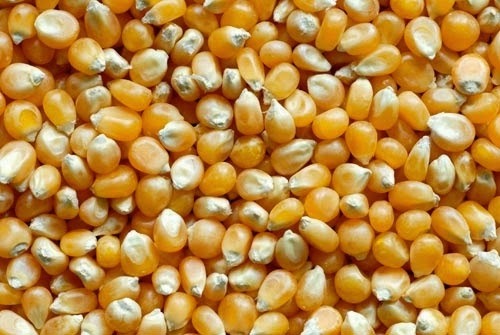 Kernels of corn (or corn seeds) are used to make popcorn, feed animals, and make ethanol, among other uses. An average ear of corn contains 600 kernels on it. 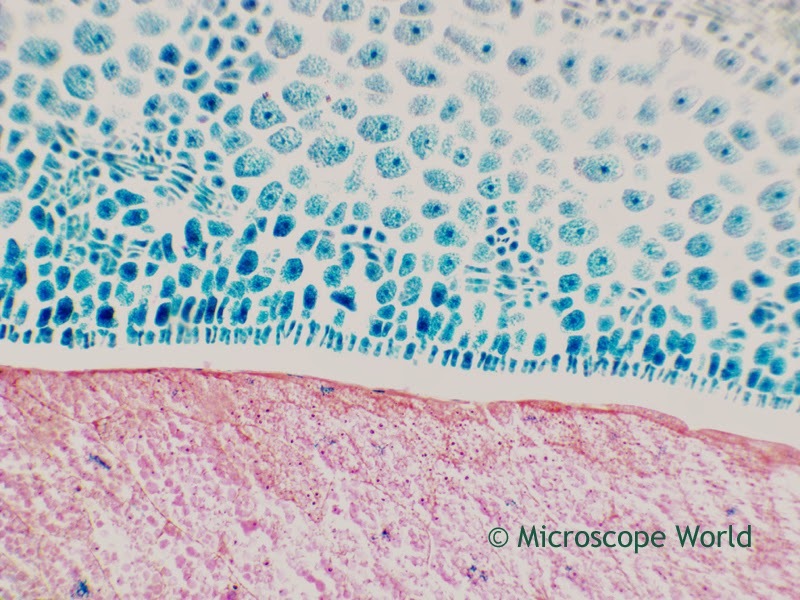 The images below of a cross section of a corn seed were captured using a student biological microscope. 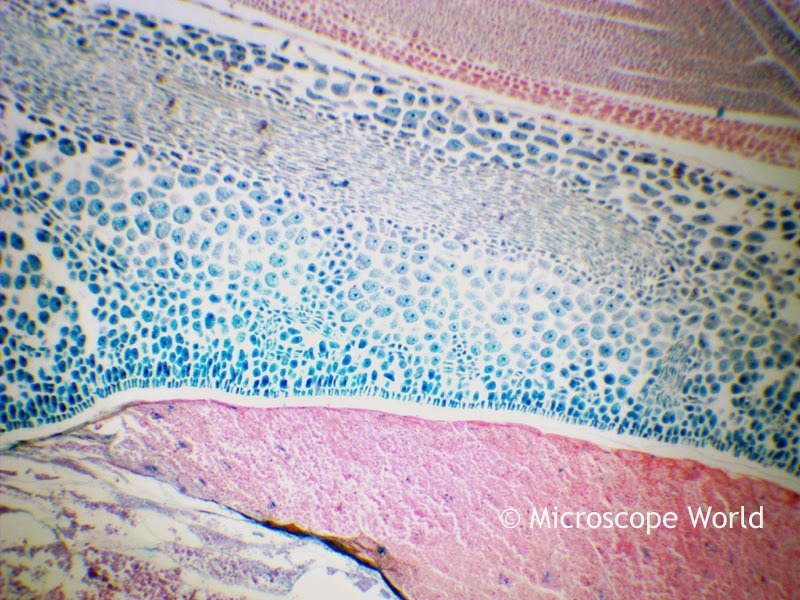 Corn seed captured under the microscope at 40x magnification. 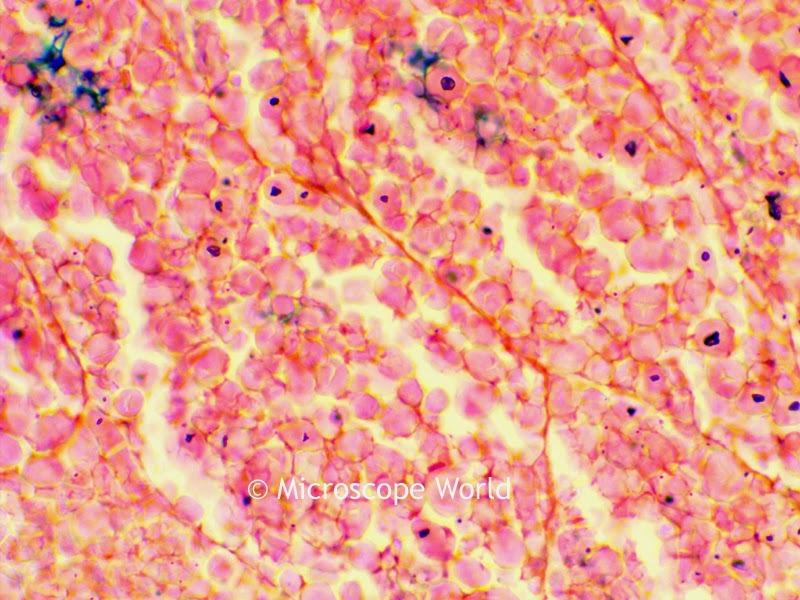 The corn seed prepared microscope slide can be purchased as part of the Fruit and Flower Prepared Slide kit from Microscope World. Corn seed captured under the microscope at 100x magnification. Corn seed captured under the microscope at 400x magnification.